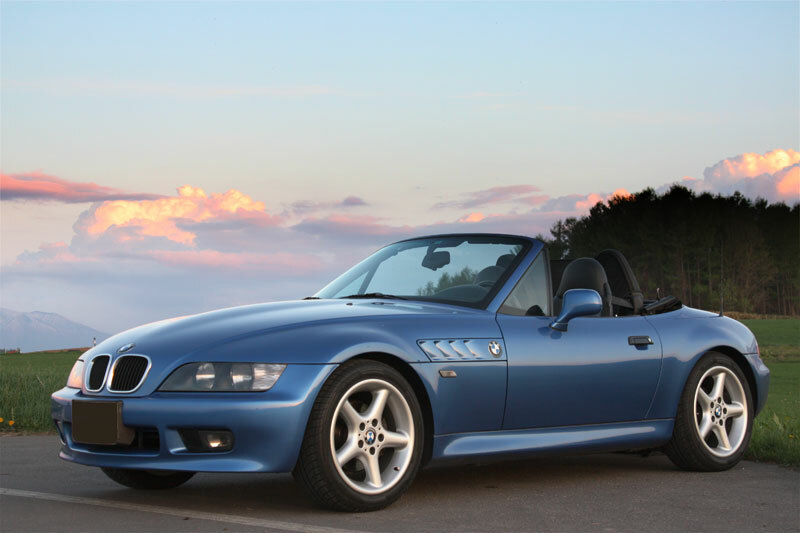 Expect the 2016 BMW Z2 to be close in size, and similar in spirit, to the Z3, which was available to American drivers from 1996 through 2002. A snappy roadster headlines redesigned fleets of BMW compact cars with front-wheel drive—a first for this brand. The Z2 will be smaller, more economical and more affordable than the Z4, but no less fun to drive. In fact, it may drive a lot like a Mini Cooper. The 2016 BMW Z2 is a new 2-seat soft-top convertible that will headline the German brand’s historic move from rear-drive to front-drive for its next-generation 1- and 2-series premium-compact cars. To be positioned below BMW’s rear-drive Z4 in size and price, the Z2 is slated to bow in Europe during calendar 2015 and could start as low as $23,400 at today’s exchange rates, that according to Greg Kable of Britain’s Autocar magazine. U.S. availability is unknown but likely, as the Z2 could be a tempting alternative to Mazda’s rear-drive MX-5 Miata and thus a useful showroom lure for the younger buyers the company hopes to reach with its front-drive lineups. Incidentally, the 2-Series name comes to America for 2015 on updated versions of the rear-drive cars previously sold as 1-Series models. The 2016 BMW Z2 is part of a planned multi-model family on the firm’s new UKL1 platform, designed for transverse 4-cylinder engines, front-drive, and add-on all-wheel drive. UKL is shorthand for unterklasse, “entry-level” in German. Autocar says this architecture will serve up to a dozen compact BMWs—including a next-generation X1 SUV—and as many as 11 clean-sheet models for the automaker’s Mini brand. In fact, UKL1 gets its first outing with the third-generation Mini Hardtop 2-door hatchback that’s due in America as a 2015 entry. That same model year should also bring the first UKL BMW, a tall-body 4-door hatchback previewed by the recent Concept Active Tourer and available in 5- and 7-passenger versions; it’s likely to be called 1-Series GT. The UKL 1-Series will also be sold in conventional hatchback, sedan, and wagon body styles. The Z2 will reportedly sell alongside a UKL-based 2-Series coupe, convertible, and new 4-door Gran Coupe sedan. Understand, though, that most of front-drive 1s and 2s won’t be ready until 2019 or 2020. Based on intel from company sources, Autocar’s says the Z2 will be virtually the same size as BMW’s 2-seat rear-drive Z3 sports cars of 1996-2002. That suggests the new cloth-roof front-driver will be less elaborate than today’s Z4 with its power-retractable hard top, though it shouldn’t skimp on essential equipment and quality materials—we hope. The Z2 may also trump its bigger brother for cockpit space, thanks to the more-compact front-drive powertrain and perhaps a longer wheelbase. Yet if our dimensional estimates prove out, the Z2 will be a foot shorter overall than Z4, about 3 inches trimmer in beam and about 1.5 inches lower. Autocar projects 2016 BMW Z2 styling will feature a rakish cab-forward stance and a short, sloping nose. The magazine’s speculative rendering also forecasts a domed, slightly vee’d hood, a full-length shoulder-height character line, “hockey-stick” hollows on the lower bodysides, and a pert, rounded tail with very little overhang behind the rear wheels. The 2016 BMW Z2 will likely reach America with a 2.0-liter turbocharged 4-cylinder engine boasting an aluminum cylinder block, direct fuel injection and BMW’s Valvetronic variable valve-timing system. It’s one of three new and related low-carbon powerplants that will serve the UKL family and perhaps some larger BMWs as well. The other two are a turbocharged 1.5-liter 3-cylinder and a 3.0-liter turbo six. The former debuts in the upcoming i8 hybrid sports car. All three share a modular design with cylinders sized at 500cc, allowing all versions to be built with the same tooling and processes, which saves money and enhances manufacturing flexibility. The new “triple” is as much a revolution for BMW as the swing to front-drive, considering the brand’s long tradition of inline 6-cylinder engines. So far it’s the only member of the new engine family that BMW has revealed, though without full particulars, as development work isn’t finished yet. Still, the basic design appears to be quite efficient. Autocar quotes 178 horsepower and 199 pound-feet of torque for a prototype 3-cylinder in moderate tune, so it’s easy to imagine how potent the 4- and 6-cylinder versions could be. In short, the 2016 BMW Z2 won’t lack for power. We’d guess U.S.-bound models will offer the 2.0 turbo-four in 180-, 240- and 300-horsepower versions, with the last reserved for either a sporty M Performance model or a top-line Z2 M prepared by BMW’s “go faster” operation. 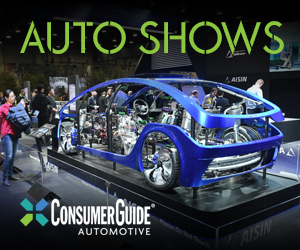 Despite the high outputs, fuel economy should be a plus, as all these engines will likely incorporate a stop/start function and perhaps an energy-recuperation system that minimizes alternator use to reduce fuel-sapping engine drag. All 2016 BMW Z2s should come with a 6-speed manual transmission, while the automatic option will likely be a conventional 8-speed torque-converter unit, albeit a new and more-compact affair. As mentioned, the UKL platform can accommodate all-wheel drive, but we see that as a fairly remote prospect for the Z2, as it would likely add cost and compromise trunk space. If AWD is offered, it would be a Mini-like system with a rear differential added and a multi-plate clutch functioning like a center differential to apportion power front to rear. As for the rest of it, logic suggests the Z2 will roll on a typical BMW suspension with front struts and a compact rear multilink arrangement. Brakes are sure to be 4-wheel ABS discs with integrated stability system/traction control, while the steering will employ electric power assist as another fuel-saver. We’d guess 17-inch wheels and run-flat tires will be standard, with 18s and possibly 19s available. Like other small BMWs, the Z2 should also be offered with a plethora of functional and appearance options, everything from leather-and-aluminum cockpit trim to a locking front differential and BMW’s Active Steer, which “speeds up” as the wheel is turned for quicker response and tighter cornering. Echoing the old Z3, a power top may be optional, not standard, along with a lift-off hard top. The 2016 BMW Z2 seems motivated by two main factors. The first is escalating CO2 emissions standards in Europe, which has set a goal of 98 grams/kilometer by 2020 as an overall fleet average. Meeting that standard and interim limits—against pain of hefty financial fines—explains why BMW and other European automakers are developing more-efficient powertrains and smaller and/or lighter vehicles. In this case, front-drive enables BMW to maintain or improve the interior space of its compact models within smaller, lighter envelopes. That, in turn, allows use of smaller engines like the new turbo 3-cylinder, which BMW claims will cut its Euro-market fleet-average CO2 emissions by 5 to 15 percent, as reported by AutoWeek. We don’t know where Autocar got the possible $23,400 base price mentioned above, but the number isn’t unrealistic, given that the Z2 will share many components with BMW’s other UKL models. And interestingly enough, the 2013 Mazda MX-5 Miata starts at about $23,700, suggesting that BMW is targeting mainstream price territory, as it originally did with the Z3. On the other hand, the Z2 is still 1-2 years away, a long time in car biz, so we expect the final figure will be somewhat higher, if only due to interim dollar inflation versus the euro. Of course, standard content will be a factor too, and BMW is undoubtedly still deciding how lavish that should be to attract new-to-the-brand buyers without causing sticker shock. Traditionalists may bemoan BMW’s embrace of front-wheel drive, but they’ll probably be the only folks who will. Frankly, we’re encouraged to see the brand abandon its slavish devotion to rear-drive. And we’re downright delighted at the prospect of a small, nimble roadster with all the usual BMW virtues and an accessible price. Having recently tested a Mini Cooper Roadster, we expect the Z2 will be just much fun, but also quieter, smoother-riding, and classier inside, as expected of the BMW brand. Is that too much to hope for? Written by: The Daily Drive staff on April 14, 2014.on August 9, 2017.